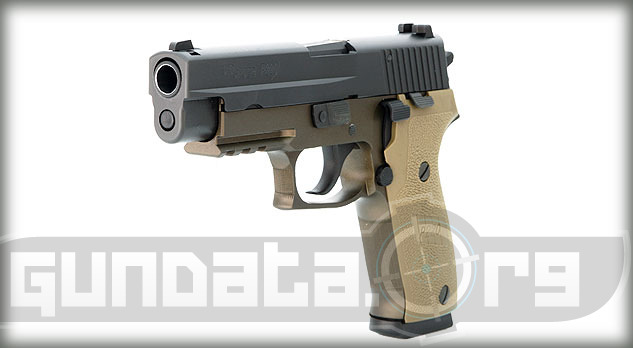 The Sig Sauer P220 Combat is a semi-automatic handgun designed for tactical military and police purposes. The internal parts are phosphated to provide users with the maximum allowable use in all conditions without the parts becoming corroded. The barrel comes with an option to have it threaded, and has an integrated Picatinny M1913 accessory rail on the frame for mounting a light or tactical laser. It also has front strap serrations on the slide for an easier grip while loading rounds into the chamber. 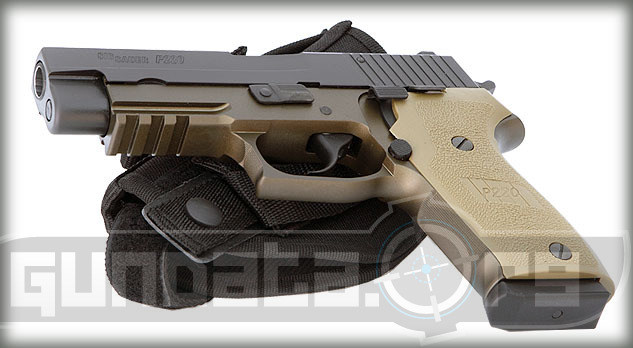 The grips are flat dark earth polymer, with front strap serrations. 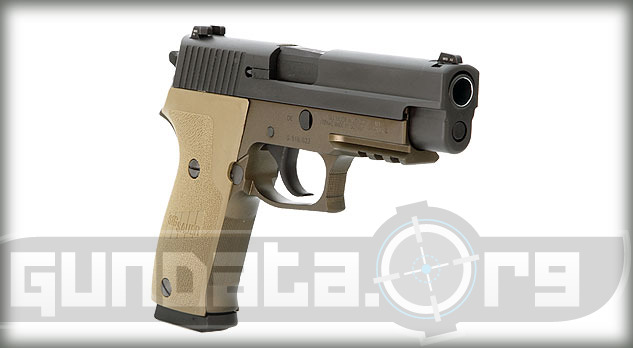 The P220 Combat frame material is made of alloy, with a Flat Dark Earth hard coat anodized finish. The slide material is made of stainless steel, with a black Nitron finish. The overall length is 7.7-inches (8.2-inches with threaded barrel), with a height of 5.5-inches, and a barrel length of 4.4-inches (4.9-inches with threaded barrel). 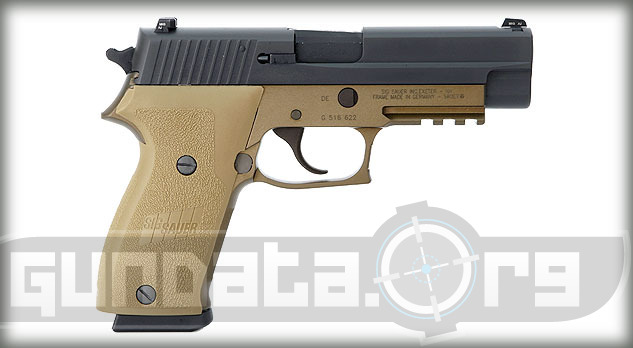 It fires an 8-round clip of .45 ACP ammunition, and has an option for users to upgrade it to a 10-round magazine. It has the 4-point safety system, and a double or single action pull on the trigger. The trigger pull for the single action is approximately 4.4-pounds, and approximately 10-pounds for the double action.